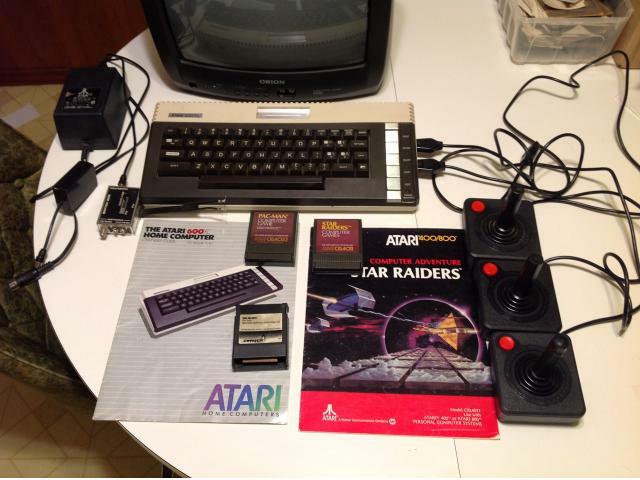 I have an antique Atari 600XL with the following 3 games: Pac-Man, Star Raiders, and Kids on Keys. Also included are the controllers, power brick, and TV-Switcher. I have powered it on and am able to play the games. The switcher though may need to be replaced as the screen isn't very clear while I'm playing here. Asking $40.00 or best offer.